Wahoo guess who's back! Apologies for my rather long and unplanned break but life got busy as I'm sure (hope!) people understand. Obviously there was Christmas which was great and of course I got some new polishes so expect to see swatches of them soon! Another explanation as to why it's taken me so long to get back to nails and blogging is that this month at uni I've had exams, however, I had my last one yesterday and now I'm full of inspiration and totally ready to start up again! Making my comeback with a very exciting (and long overdue) post on the Star Wars Collection from Danglefoot Polish. I guess this will be a bit photo heavy so I'll try to keep the text short. Now in this set not only did you get four gorgeous polishes with fab names but also a sparkly liquid latex, a handmade clay button (I got a sparkly C-3PO!) and some super cute Star Wars water decals. If this hasn't already made you want this set, wait til you see the swatches! The first polish is Use the Force Luke, a grey holo with blue shimmer. All you true Star Wars fans will have realised the blue is for his lightsaber yes?! 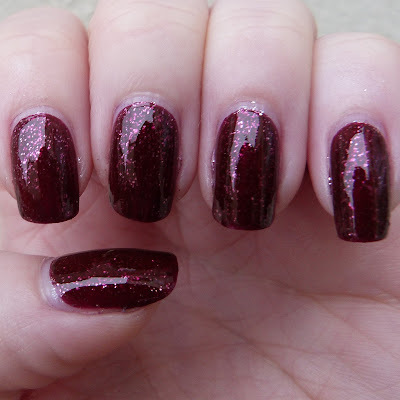 As far as I can remember this swatch was two coats with topcoat. You can definitely see the sparkle and I'm sure you can see the blue a bit too! As usual, the polish applied fantastically, no problems here! 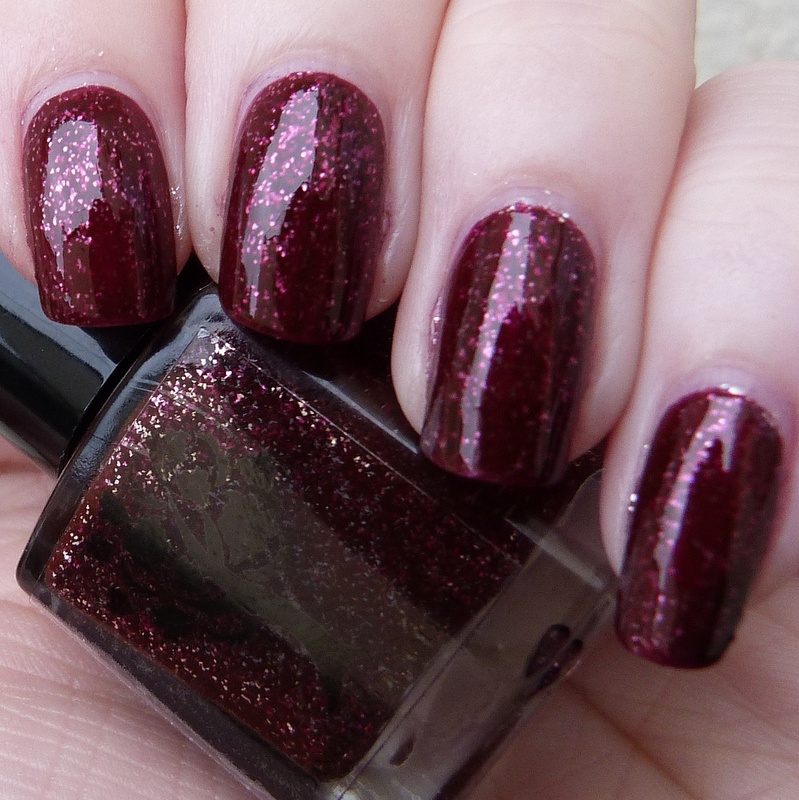 Next polish from the collection is Tatooine Sunset, a kind of pink/orange/brown holo. Basically it looks like the sunset okay? Again two coats plus topcoat for this swatch and of course another fab one in terms of application. Wasn't sure what I was going to think about this colour as it's not something I'd normally choose but I actually quite like it. It's definitely a unique shade! The third polish is one that I was particularly excited about trying. This is I'd Just as Soon Kiss a Wookie and is a red jelly with silver flakes which look amazinggg in the polish. I hope you can all see why I was so excited about this one and agree that it is totally beautiful yep? Yet again I'm going to assume this was two coats plus topcoat. Definitely should have done this post sooner woops... Because this has a jelly base the formula of the polish was different to the first two and I actually loved the application of it even more! Last but not least is The Dark Side, an inky purple black with scattered holo and silver shimmer. This polish was definitely one of my favourites from the collection. I know it's black but I just loved the holo and how easy it was to apply and it is just so pretty. When I went to see Star Wars I actually wore this and I'd Just as Soon Kiss a Wookie because I couldn't decide on just the one. Also, I'm not entirely sure what the circle blur is in a couple of the photos so apologies for that. Overall I totally love this collection (what a surprise!) and I would definitely recommend you buy them. Her shop is currently closed to restock but she's hoping to open again in a couple of weeks with TWO new polishes to add to the Star Wars Collection! You will still be able to buy a set like I have but if you want one you'll have to be quick as there's only a few left! 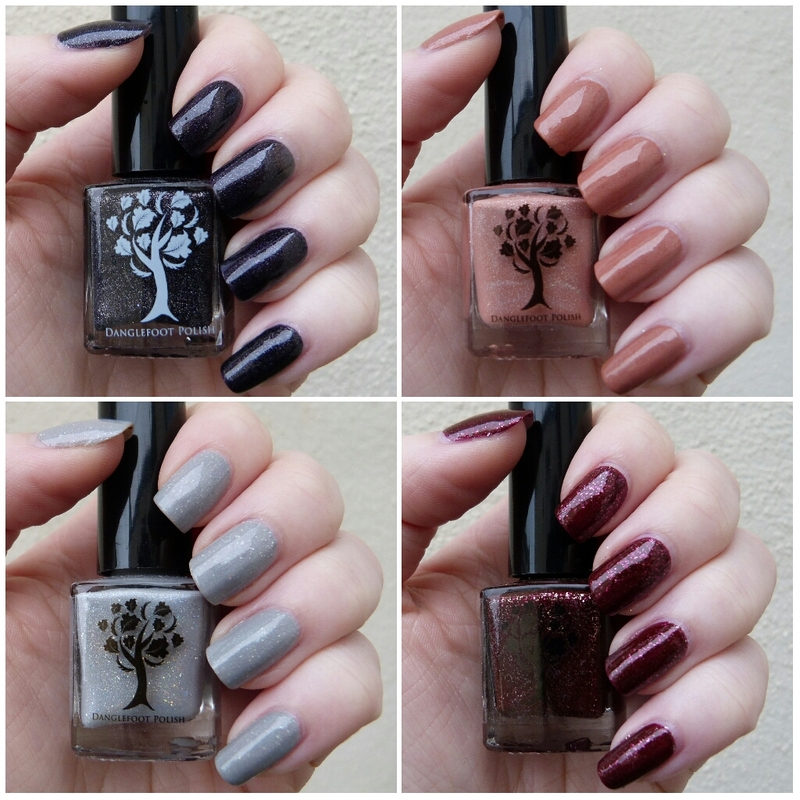 Hayley's also going to be selling the polishes individually for the first time since they were released so if you just have one favourite then you can grab that. Of course I'm very excited about the re-opening and am constantly checking her Instagram for photos and videos of all the gorgeous polishes. If you want to join me in that you can follow/find her on Instagram here. Hope you've enjoyed this little look at the collection and I will hopefully be posting again soon!